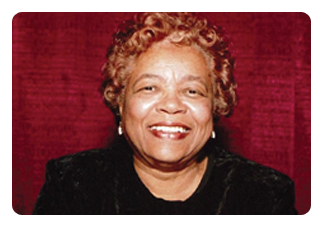 Odessa Woolfolk is known for her work as an educator, public administrator and civic activist. Her professional experience includes: Birmingham High School teacher, and senior level administrative positions with the Jefferson County Committee for Economic Opportunity (JCCEO). The YWCA of Utica, New York, The Arbor Hill Interracial Council of Albany, New York, The New York State Urban Development Corporation, New York City, New York and the Urban Reinvestment Task Force of Washington D.C.
During her extensive career with the University of Alabama in Birmingham (UAB) Woolfolk directed the Center for Urban Affairs, taught urban history and served as Assistant to the President for Community relations. Her expertise was applying academic research to urban problem solving. At her retirement from UAB in 1993 the University established the Odessa Woolfolk Presidential Community Service Award to be given annually to a member of the faculty. Woolfolk was frequently cited in local newspapers as one of the region’s most influential citizens because of her service in the fields of housing, education, community development and public welfare. She continues to be known as one who crossed racial, ethnic, geographic and socio-economic boundaries to promote civic engagement, community leadership and race relations. She was State Chair of the National Conference of Christian and Jews, first African American President of Operation New Birmingham’s Board of Directors and founding member of Leadership Birmingham. She was the ‘driving force’ behind the establishment of the Birmingham Civil Rights Institute and is its Emerita President and Board Chair. The Institute named a gallery in her honor. A Birmingham native she graduated from the A. H. Parker High School. She earned a B.A. Degree from Talladega College (Alabama) and a Masters from Occidental College (California). She pursued additional studies in political science at the University of Chicago, and as a National Urban Fellow at Yale University. Woolfolk has received scores of honors including the Humanitarian Award from the Alabama Humanities Foundation and the Pioneer Award by the Alabama Shakespeare Theatre. She was inducted in the Birmingham Gallery of Distinguished Citizens and the Alabama Academy of Honor. She was awarded honorary doctorates by Talladega College, The University of the South at Sewanee and Birmingham-Southern College. Her personal credo is – Only enlightened intelligent personal concern for the world in which we live can solve the problems of our day.